A friend of mine recently let me in on her newest online find: ShopLately. ShopLately is an online boutique with a social media twist. You can follow beauty and fashion bloggers and your friends to see what's trending and new! The shopping experience was actually a lot of fun. Just like other social media platforms, you can like different products to check them out later. At the end of this post, I'll have a link where you can sign up for yourself and possibly receive a free $10 credit! If you're interested, or you like the looks of this nail art, check out all the details under the cut! For my first ShopLately purchase, I chose two polishes from a new to me brand: Polish & Co. Polish & Co. is a boutique brand that is free of Formaldehyde, Toluene, DBP and Parabens. There's a large array of colors to chose from and it wasn't easy to narrow it down to just a few. I chose Dreamsicle (orange) and Any Place Any Time (purple). For $12 a pop, these are a win! 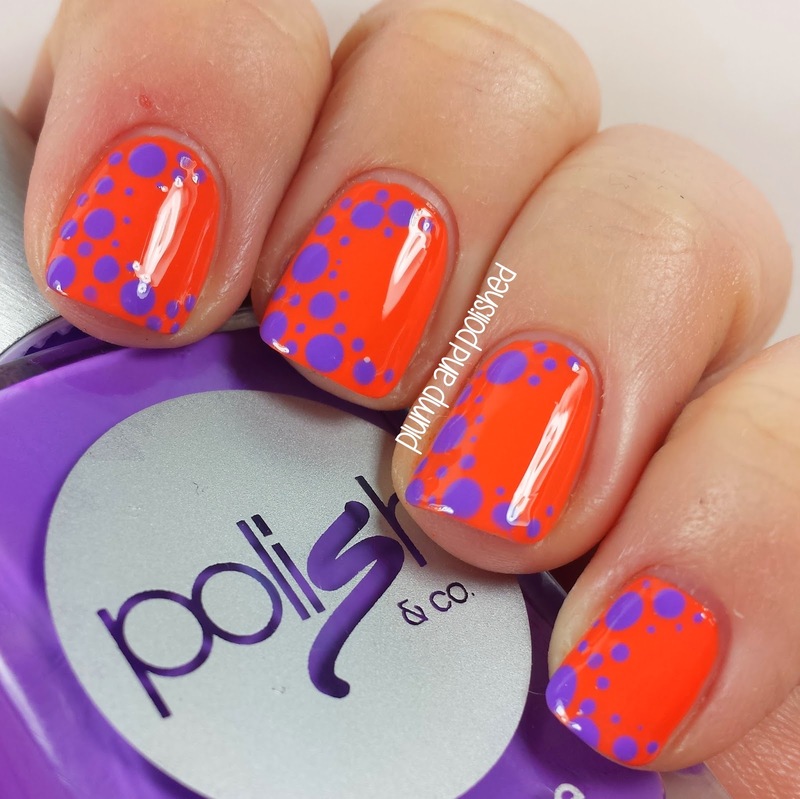 Both polishes had a great formula and consistency. I was surprised by the flawless application. The best part is how pigmented they are. I don't own many oranges that are so perfect in only two coats. The purple is just as awesome. 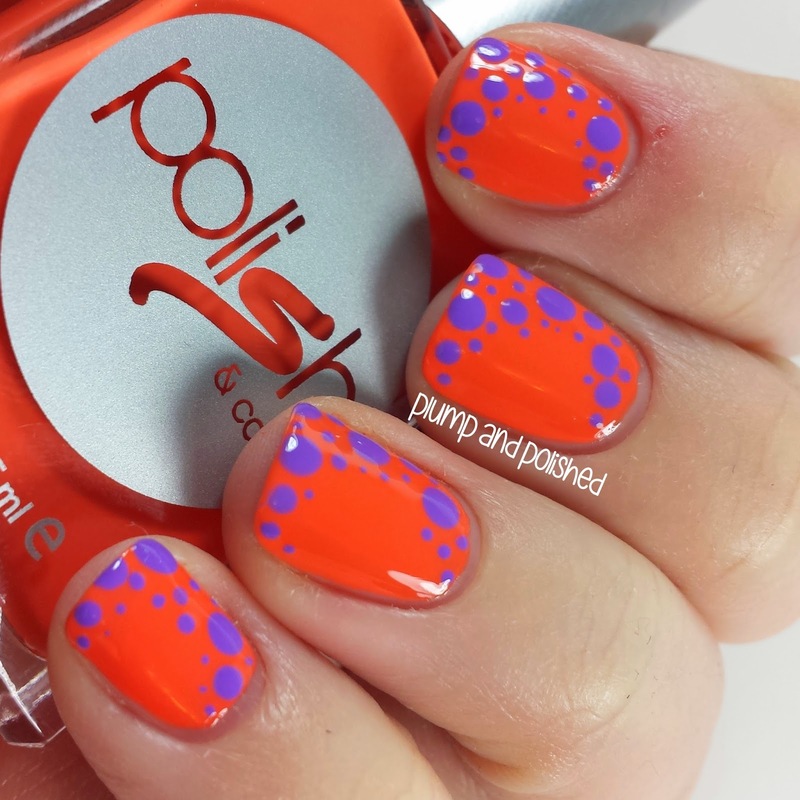 For this look, I used three different size dotting tools to create an arc. Less is more in this case! It wouldn't have the same effect if the whole nail was covered. 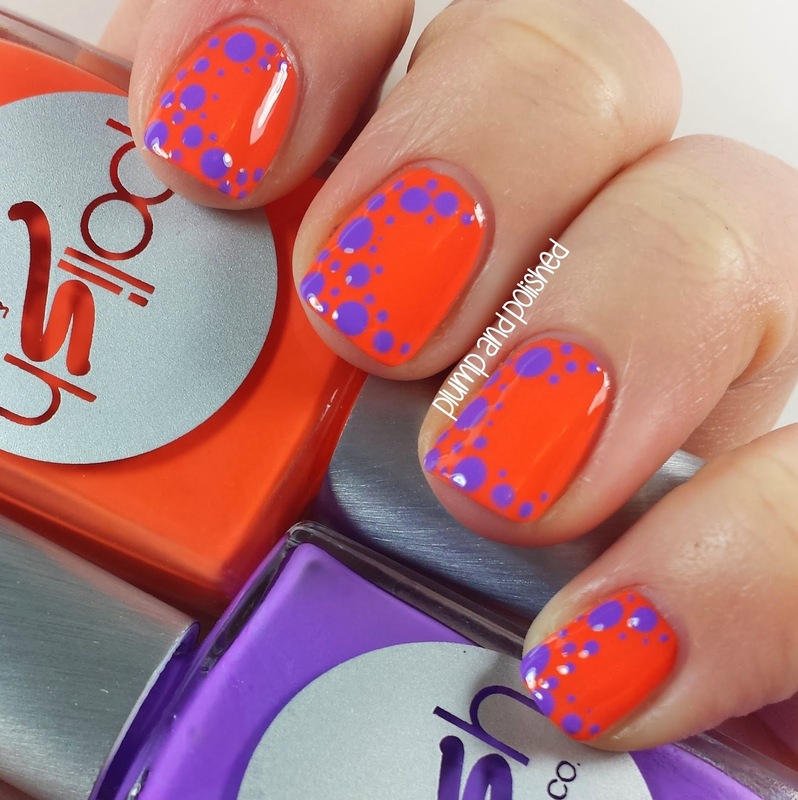 Finish it off with topcoat and you're good to go! You can join ShopLately by signing up HERE! For a limited time only, you can sign up with your Facebook credentials to earn a $10 credit! 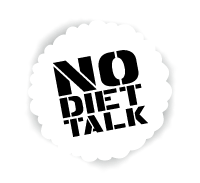 To check out my ShopLately profile and see the products I’m loving, click HERE. 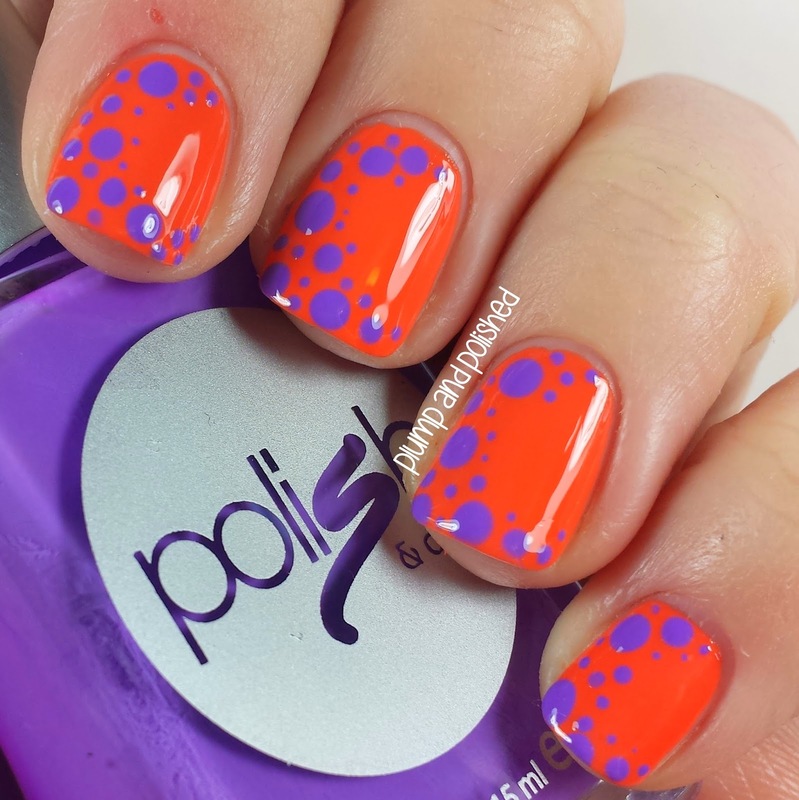 Be sure to let me know what you think of ShopLately and this fun spring nail art look in the comments! That's not weird at all! After I did, I thought the same thing. If it had been yellow on purple, it would have been a Barney manicure.